There was this very dumb, extremely unfounded story going around the Internet earlier this week claiming that Matt Kenseth was going to be retiring, either immediately or at the end of the season, depending on who you asked. It was debunked almost immediately, with the actual press conference Wednesday (April 19) being some actual good news: a new sponsor for Kenseth and Joe Gibbs Racing in Circle K.
So, uh, let’s leave that non-story in the dust, shall we? That being said, the story did cause discussion circles to raise an interesting point: Kenseth, the 2003 Monster Energy NASCAR Cup Series champion, is now 45 years old. That’s older than the age at which Jeff Gordon hung up his helmet on a full-time basis (43) and an age when many drivers are considered past their prime. Of course, that’s not always the case. Mark Martin won five races in 2009 at age 50 and was still racking up top fives when he was 54. In Dale Earnhardt’s final season, he, at 49 years old, won two races, and to imagine him scoring more is far from an unwise bet. The point is that age doesn’t always matter a whole heck of a lot in NASCAR. 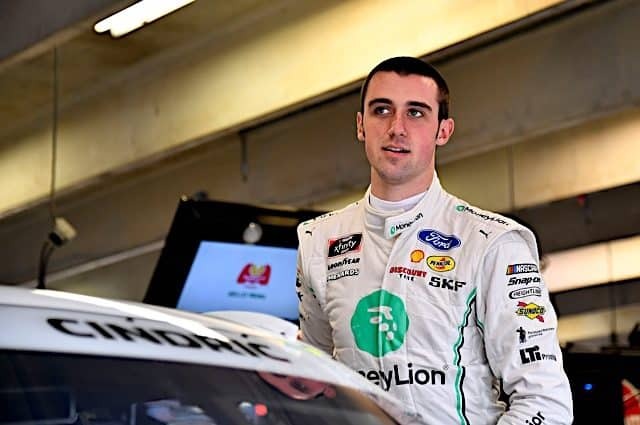 Yes, you might have an abundance of 20-somethings rising up the ranks of the Cup Series right now, with drivers even younger than that percolating into lower national series and taking them by storm. 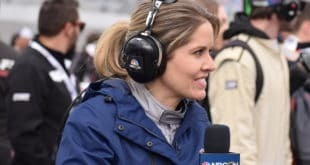 But with all the talk of how young a driver is — you know, the type where the television broadcaster says the word “young” before saying their name almost every time? Yeah, that — let’s give a mention to some of the racers still on the national NASCAR circuit who are actually more than a year or two removed from high school graduation. 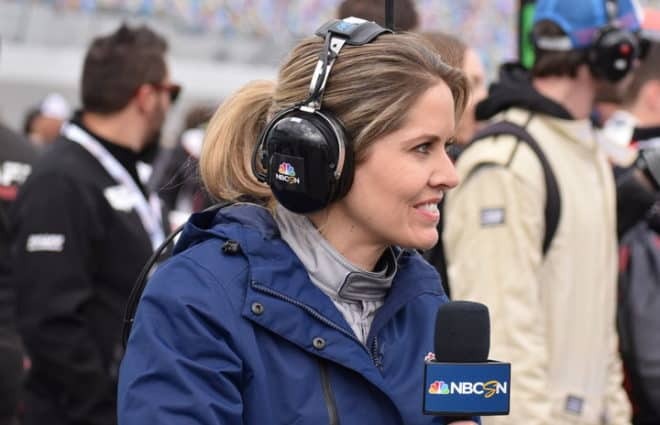 Note: the included drivers have either raced or attempted a race in the Cup, XFINITY or Camping World Truck Series this season, as of April 20. This list may change throughout the season depending on other drivers who show up to the racetrack. 10. Michael Waltrip (April 30, 1963): Of course, Michael Waltrip ran this year’s season-opening Daytona 500 with the admission that it would be his final race on the Cup circuit before retirement. That’s just if you want to believe him; plenty of drivers both older and younger than Darrell’s brother have announced retirements, only to pop back up in a one-off deal shortly thereafter. So… stay tuned? 9. Jeff Green (Sept. 6, 1962): The 2000 XFINITY champion has only competed in a handful of Cup races over the last decade, but he still makes his home in the XFINITY Series, where he’s run more than half the season’s races every year since 2011. 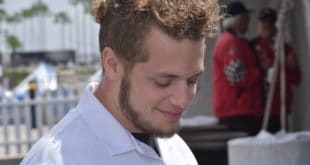 Until recently, he was often a start-and-park driver for TriStar Motorsports, but his addition to BJ McLeod Motorsports in 2017 has seen him at least attempt the full distance in five of six events in the No. 8. 8. Charles Buchanan Jr. (Aug. 12, 1961): Probably the least known of the drivers on this list, Charles Buchanan Jr. has attempted multiple Truck Series races over the past few seasons in a truck he runs in conjunction with Craig Wood, a former Truck Series driver himself with two starts between 2003 and 2008. 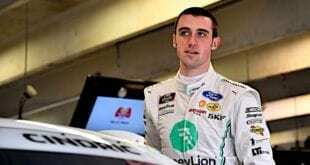 He has, however, failed to qualify for each race, the majority of them short track races like Bristol Motor Speedway or Martinsville Speedway. He’s also competed in 14 K&N Pro Series East events since 2011. 7. Bryan Dauzat (Nov. 30, 1959): The first of this list from the 1950s, Bryan Dauzat has been a fixture on the Whelen Southern Modified Tour, running 58 races between 2008 and 2016 with a top five and 15 top 10s. 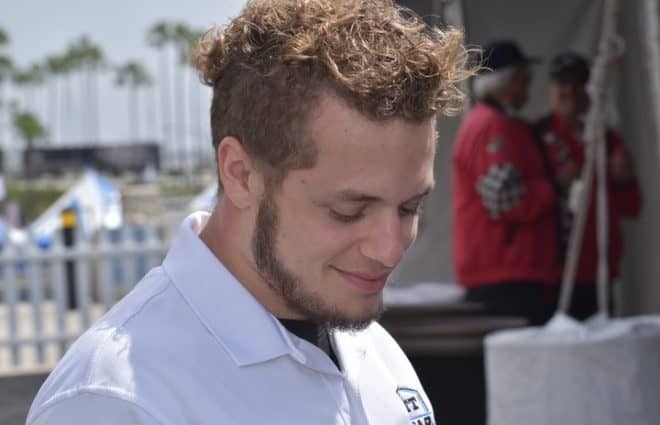 But Dauzat, who also competes part-time in the ARCA Racing Series, has also attempted two Truck Series events, most recently earlier this season at Daytona International Speedway, where he failed to qualify. His only Truck start saw him finish 36th. 6. Derrike Cope (Nov. 3, 1958): The 1990 Daytona 500 champion is still trucking along after all these years, and if you only watch the Cup Series each week, you’ve been hearing his name the most since 2009, the last time Cope ran a Cup race. This season marks his return to the series where he has two career victories. He’s been piloting the No. 55 for Premium Motorsports, running five of the seven races so far in 2017 with a best finish of 33rd at Phoenix International Raceway. Despite 2017 already giving Cope more Cup starts since 2006, he’s stuck around the garage, running the last three XFINITY seasons full-time for his own team. 5. Bobby Gerhart (July 21, 1958): Better known for his ARCA prowess at this point, Bobby Gerhart nonetheless still makes the trek to NASCAR superspeedway races in the XFINITY and Truck series (only the latter this year so far), something he’s now been doing each season since 2013. Of course, his NASCAR national series career dates back much further — to the early ’80s through the early ’90s, when he would pop up on the entry lists for the Cup events at his home track of Pocono Raceway, among others. 4. Mike Harmon (Jan. 24, 1958): Now pushing 60 years old, Mike Harmon has been a fixture on the XFINITY and Truck series circuits for a decade-and-a-half now, often for his own team. He’s still perhaps best known for a fiery crash at Bristol in 2002 that saw his car torn apart by the infield entry gate in Turn 2, but he’s accumulated 226 XFINITY starts since his debut in 1996 and has shown no signs of stopping anytime soon. 3. Norm Benning (Jan. 16, 1952): Speaking of journeymen drivers like Harmon, Norm Benning, he of 281 career ARCA starts between 1995 and 2009, first showed up on the NASCAR national level in 1989 at 27 years old, running three Cup races. 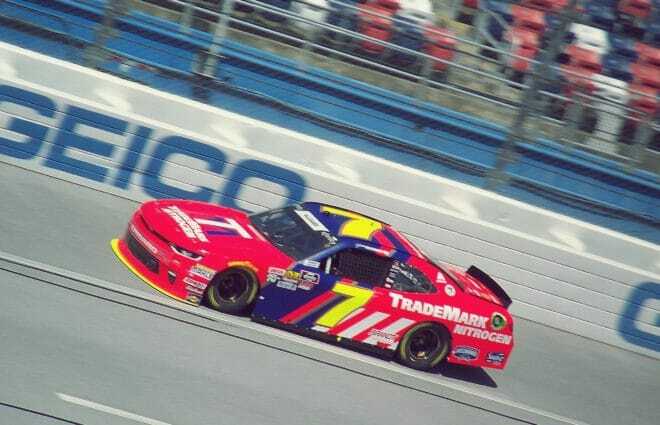 He ended up with just one more start there, the 1993 TranSouth 500 at Darlington Raceway, though he’s certainly tried since, most recently attempting the 2010 Daytona 500. 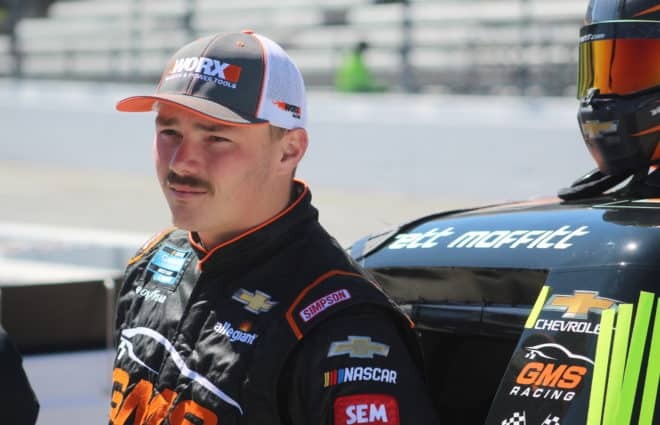 Benning has found a new home in the Truck Series, where he’s attempted at least half the season since 2009, and even became a brief celebrity of sorts after his fender-bending finish at the inaugural Truck race at Eldora Speedway in 2013. 2. Mark Thompson (July 9, 1951): Yet another driver with an extensive ARCA resume — and in Mark Thompson’s case, impressive too, given his two wins and third-place points finish in 1997. Thompson, the founder of the Georgia-based Phoenix Air, still pops up at superspeedway races in ARCA these days, and even made his first foray to the XFINITY Series in 2015, with a best finish of 27th thus far. 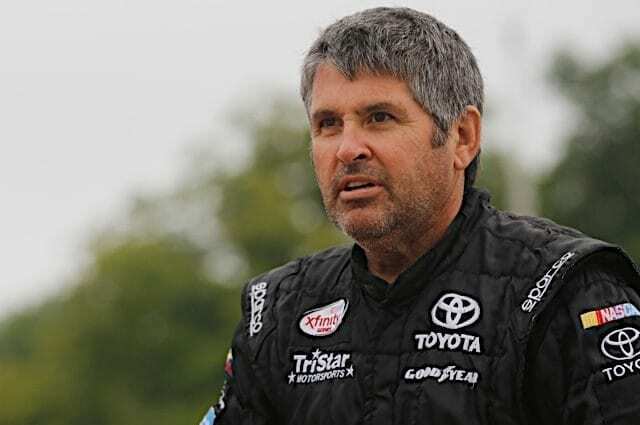 His NASCAR career actually goes back further than that, though; he attempted three Cup races in 1992 and 1993, starting one, the 1992 Champion Spark Plug 500 at Pocono, finishing 39th. 1. Morgan Shepherd (Oct. 12, 1941): May 24, 1970. That’s the date of the first race Morgan Shepherd ever attempted on NASCAR’s Cup level. He didn’t qualify for that one, the 1970 World 600 at Charlotte Motor Speedway, but he returned later in the year to run three events, with a best finish of 14th at Hickory Speedway. What’s followed is a mindbogglingly extensive career with four wins, 63 top fives and 168 top 10s in 517 Cup starts (the most recent in 2014), plus 15 wins, 44 top fives and 67 top 10s in 403 XFINITY starts. He’s still racing in the latter, if you can believe it, at 75 years old, 76 by season’s end. He remains the oldest driver to start a Cup race, at 72 years old, and imagining him extending that record before retirement isn’t a tall order whatsoever. Hey, nice to see the old guys get some cred. In particular, Morgan Shepherd’s record is outstanding for longevity and four wins make him not a joke. Go get ’em, gray heads!